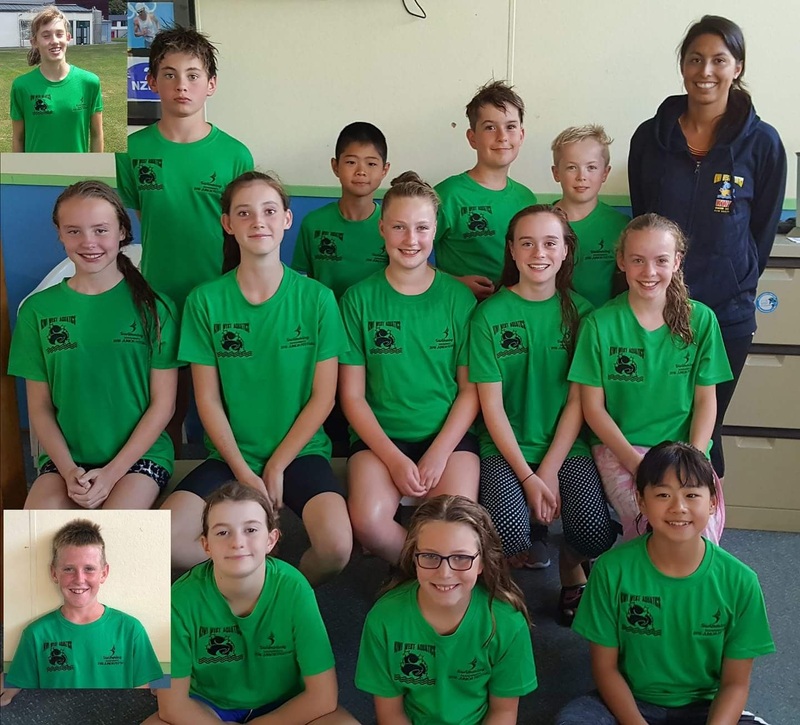 This year we had some amazing swims by Kiwi West Aquatics at the All Stars Zone meet in Wellington over the weekend. A big thank you to Tracy for her support and coaching of the kids. We had assistance from a number of parents in roles as Team manager, Time keeper or IOT. Thanks for your contribution to support the team. The biggest PB was 29.78 seconds by Jack Pettersson in the 200m breast (finishing 11th in his age group). You can find more photos of the swimmers on our Facebook Album.